As part of my Creative Writing course, I had to interview a Canadian author and update their Wikipedia page. 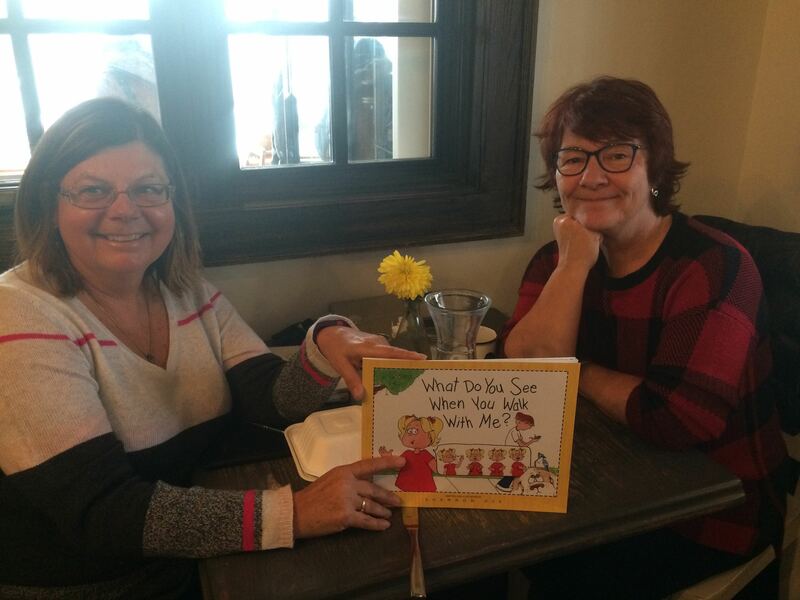 This was an opportunity for a wonderful lunch at Pineridge Hollow with an old friend. If you’re looking for some new children’s literature for Christmas gifts, her books are great reads, but also beautifully illustrated. 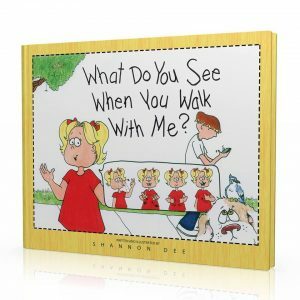 Shannon Dee is the author of two children’s books: Faith has Freckles and Walter has Wheels and What Do You See When You Walk With Me? How long have we know each other? 50 years! Besides Faith has Freckles and What Do You See, are there any other works I don’t know about? These are the only two books I have both written and illustrated myself. I worked on the illustrations in Ready Set Retire, published by Bentia Stafford-Smith, life coach and professional speaker. I believe it is out of print now. I worked with Al Simmons on his book Sounds Crazy. What message are you trying to deliver to the children that read your books? There are layers of messages, and they are not just for children. Don’t lock people into the first impression you have of them. Slow down, observe your surroundings, get to know your community. The second book also talks about when its okay to use a cell phone, and when it’s not. There are many other subtle messages in the images on the pages. Why Children’s books? Why not children’s books? Because the hand that rocks the cradle rules the world? and books that invite curiosity and critical thinking make for better citizens. Are you an artist first or a writer first? Yes. I can discern between the two, but they often change places. Sometimes I see an image clearly and then the story follows, other times I can hear the story and then the pictures/characters present themselves. Both disciplines help to get a story out, they support each other. What in your life prepared and/or compelled you to write? The second book, What Do You See When You Walk With Me? began when my youngest son was a year old. I was looking for a way to teach him safety without scaring him. I wanted to teach him observation and critical thinking. Instead of “Don’t Talk to Strangers” perhaps look around and decide for yourself which strangers you feel comfortable with. The book took 32 years to complete and now includes a bit more reference to technology. Do you have formal education that would prepare you for becoming an author? I’ve taken some evening courses and retreats, but no degree program. I actually lead retreats and art classes now. How have you gone about publishing your books? Both books are self-published through Artbook Bindery in Winnipeg. I did send the second book out to publishers when I first wrote it, with the title, The People I Meet, and was rejected by all of them. I think the timing for it wasn’t right. The revised book is able to discuss a wider range of topics, and with technology, it is easier to self publish, giving authors more control over their work. There is also greater risk involved, as well as learning about marketing etc, but I’m enjoying the learning curve. That’s not to say I wouldn’t be interested in working with a publishing house in the future, but I’m happy with the way things are going at the moment. So, are you making any money? Yes, besides Canada my books have sold in China, Norway, Australia, Ireland and the US. You can find my books in the Human Rights Museum bookstore, Rand McNally and Toad Hall Toys. In 2018 I will be leaving the day job to pursue art full-time. What’s next? That question is like asking a woman with a newborn on the delivery table when she plans to have another baby. 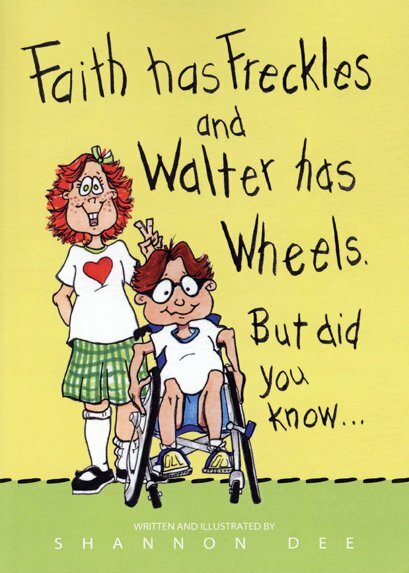 The second book is brand new and I’d like to see it walking ….before I start writing the next book, but there are other stories waiting to be born.